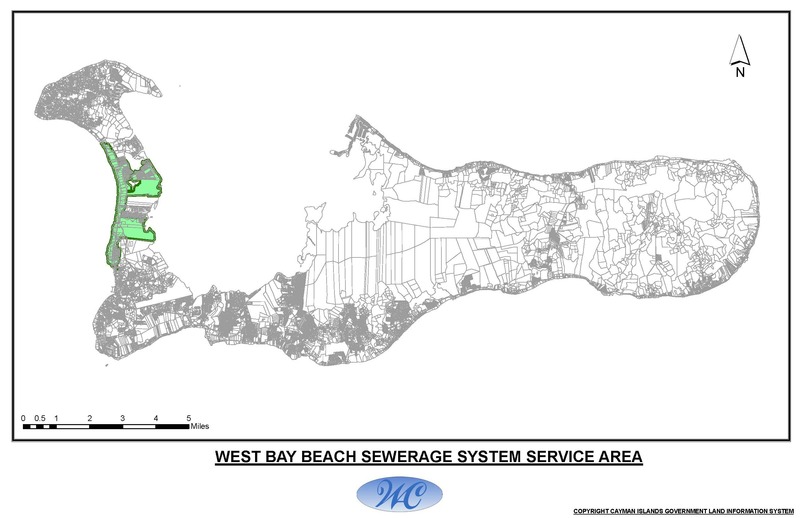 The Water Authority currently provides sewerage services to all residences and developments along the West Bay Road, from the intersection of Eastern Avenue and North Church Street and up to The Renaissance condominium complex (except those in the Canal Point, sections of Governor's Harbour, and Snug Harbour developments) via our West Bay Beach Sewage System. For a map of our service areas, click here. If your development is located outside the West Bay Beach Sewage System, onsite wastewater treatment is required. Requirements for wastewater treatment systems are based on the total estimated wastewater flow generated on a given parcel. For any given parcel where wastewater flows are estimated to be less than 1,800 gallons per day (gpd), a septic system may be utilised for wastewater treatment. If wastewater flows are estimated to be greater than 1,800 gpd, Aerobic Treatment Unit(s) (ATUS(s)) are required for the treatment of all wastewater generated on the given parcel. Guidelines for Onsite Wastewater Treatment can be found here. Please be advised that commercial developments, regardless of location or type of treatment system, have additional requirements specific to their industry. For instance, food service facilities must install and maintain grease interceptors to prevent damage to sewer lines and wastewater treatment systems. Please follow the links below to learn more about the requirements and best practices for the installation and management of onsite wastewater treatment systems. 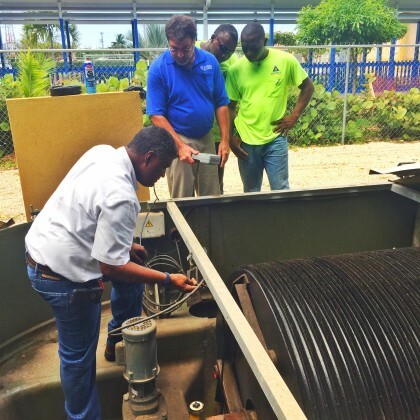 Service providers may log on to the Onsite Wastewater Management Programme (OWMP) system here. Learn more about your role and responsibilities in terms under the OWMP. Learn more about the requirements for installing and maintaining ATUs. Learn more about the requirements for installing and managing septic tanks. Learn more about the best practices for maintaining onsite wastewater systems.